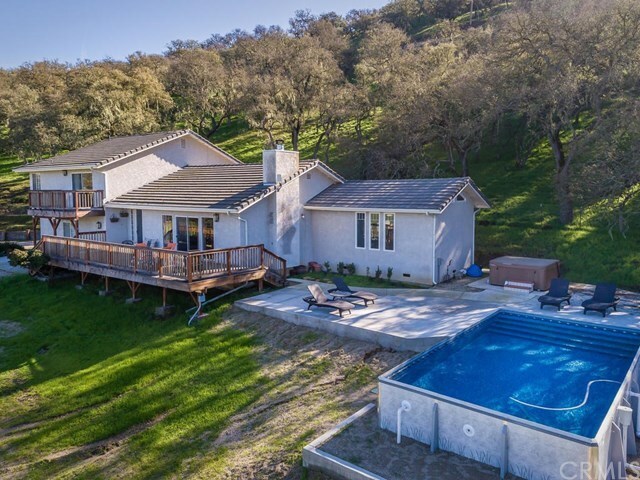 This is a wonderful 4+ acre parcel with an updated 3 bedroom, 3 bathroom home nestled in the oak trees of Dresser Ranch. Horse facilities onsite include a Barnmaster 3 stall barn, a tack room and horse wash area and there are multiple pastures surrounding the home. The swimming pool was just installed this year and is a semi-inground liner pool from Radiant Pools which sits alongside the 2017 hot tub that is tucked in next to the home under the majestic oak trees. There is a new Tesla solar panel system that helps the owner save hundreds of dollars a month.